They say, “eyes are windows to our souls”. Would you agree? For ladies, we could line our eyes, use mascara, cut a double eyelid, put on gorgeous eye shadow, wear tinted contact lenses or even tattoo a semi-permanent eyeliner, extend our eye lashes. But what about guys? How do they enhance their eyes? Notice all those I mentioned were physical look only. We commonly focus too much on physical look and neglect our internal health. Out of sight, out of mind. We care for what we wear, how we look, but we often forgot what we eat/drink is equally important if not more important. I am guilty of neglecting my inner health too. It is only of the recent years I started to take better care of it. Hey, what about the health of our eyes? Not just looking great with sparkling eyes and gorgeous eyelashes, I’m talking about the inner health of our eyes! I have totally overlooked the essence of taking care of my eyes until Glaucoma struck me last year. My eye doctor said I am his second youngest patient in his record, no medal for that! I don’t like what I have heard, definitely not what I have experienced too. But what else can I do to take good care of my eyes? I don’t really know until Brian Chung from AeroV contacted me. 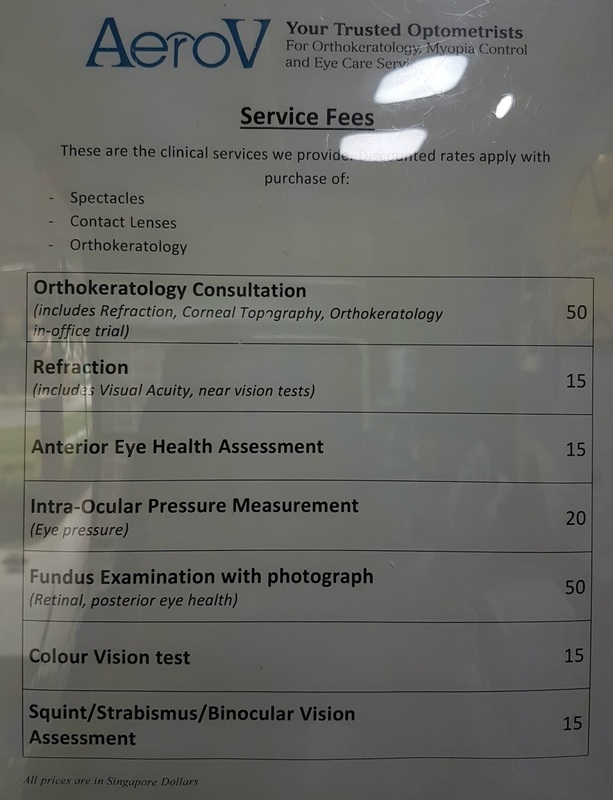 To anyone, including myself, we can’t really differentiate between an Optometrist and an Optician. Brian helped to clear my confusion. An Optician is a person who makes or sells eyeglasses (he/she is not allowed to sell contact lenses) in accordance with the prescriptions of ophthalmologists (a doctor of medicine specializing in ophthalmology) and optometrists. An Optometrist is a licensed professional who practices optometry. 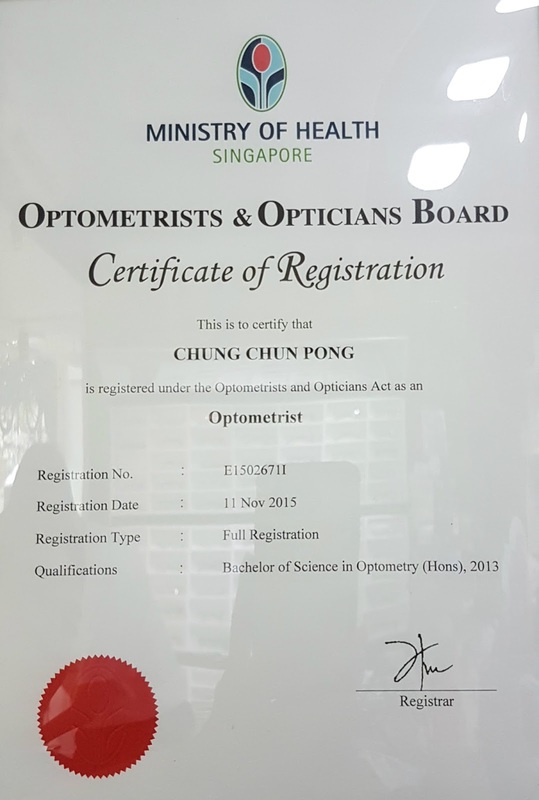 All licensed optometrists are listed in the website of the Optometrists and Opticians Board (OOB) while some will also choose to register themselves with Singapore Optometric Association (SOA), the professional body. It is very important to ensure the one checking your eyes are licensed to do so. – checks on eye pressure and the structures of the eye (including the eyelids, cornea, iris, crystalline lens and retina). Going to AeroV is like attending a Science lesson on Eye, especially for AJ. He attempted to explain every doubt or question you have in simple layman term yet detailed enough for you to comprehend. 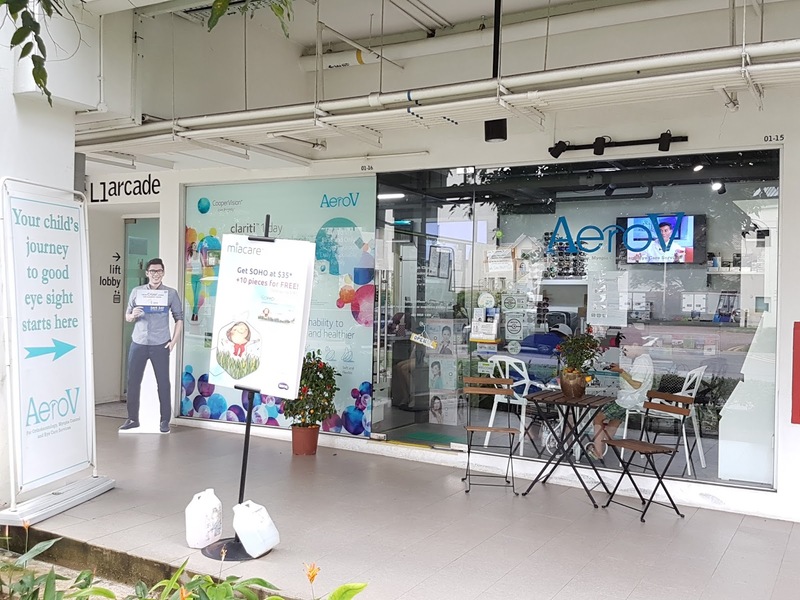 Yes, I would encourage you to bring along your children when you visit AeroV. Brian is good with kids and he will turn the visit into an educational one. Do read the reviews his customers gave him on Facebook and you will understand what I mean. AJ, being a child who is on the computer screen regularly, got our most fear when it comes to eye care. We would like him to stay spectacles free for as long as it can be, but we can’t limit too much on his computer screen time as he is so into programming. Fortunately, after a very thorough check by Brian, it was concluded that AJ has a set of healthy eyes. You could sense the great relieve that we had then. Of course, Brian did advise us to have regular breaks when reading or looking at computer screen to give his eyes adequate rest. The thorough eye check on the husband turned out to be quite interesting. From the check (particularly on the retina), Brian was able to detect that the husband (Andy) has high cholesterol (Andy has borderline high cholesterol)! It amazed me how much info a good and thorough check on the eyes can tell! As Andy also has family history of Glaucoma, Brian has referred him to a lab for further check. Brian went on to ‘educate’ us how some beautiful long eyelashes could damage our eyes. Lashes when grown inward, could rub against the eyes, causing abrasion (see photo above). Over years, these abrasions will cause vision impair. Symptom like frequent sore eyes is one of the tell tale signs and should not be taken lightly. It is scary to me to know that we could damage our vision just like that. Thus, an annual eye check conducted by a trained and licensed Optometrist is highly recommended. Andy also has myopia, and he needs to look at computer screen more than anyone else since he is in the IT line. 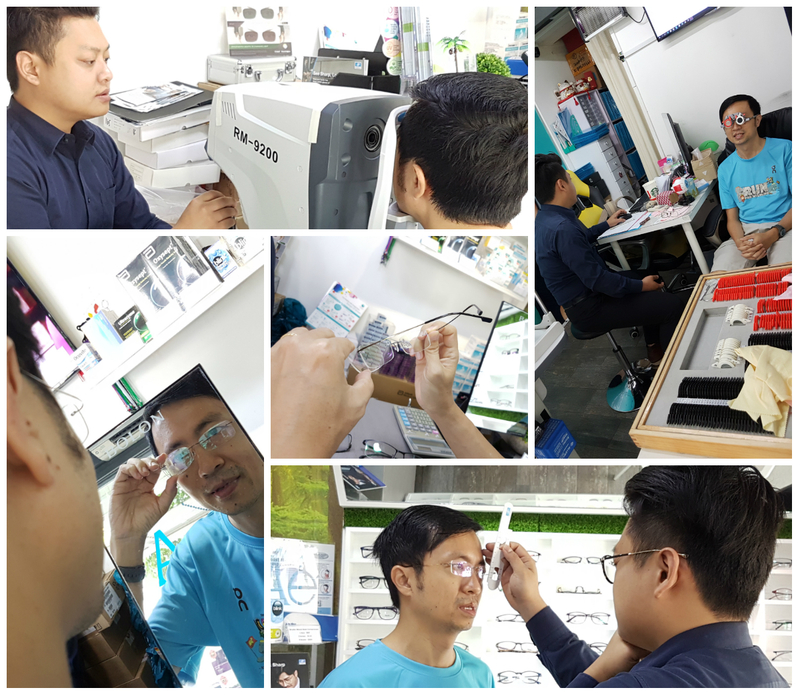 He didn’t want to go through the process of wearing Orthokeratology Lenses, so Brian recommended him a new pair of glasses using Varilux Digitime lenses. 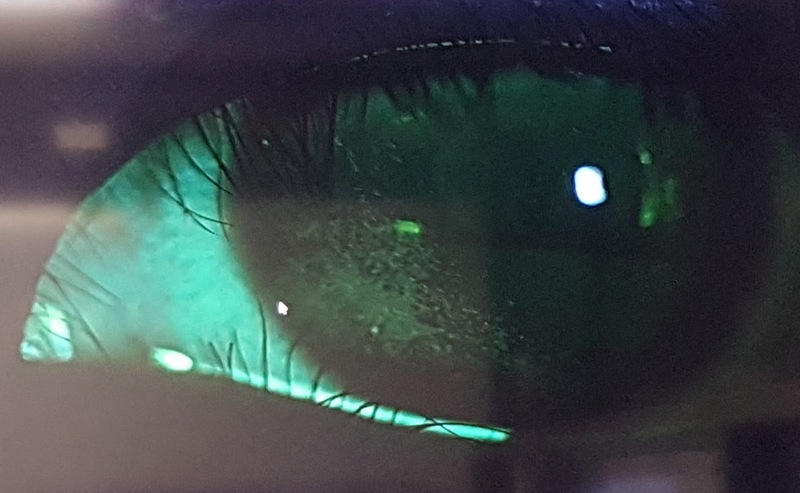 Varilux Digitime lenses allow Andy to see the data on the computer screen on near vision zone (60-80cm away) and a working distance of 2 metres on intermediate vision zone clearly. Coupled with a light frame, Andy is able to wear Varilux Digitime lenses over a longer period of time without his eyes feeling tired or having headaches. It improves his productivity at work tremendously! As for me, I am so glad to tell you that Brian has confirmed I have one eye mild short-sightedness and the other eye mild long-sightedness. People like me are blessed not having to wear glasses because each eye could complement the other! 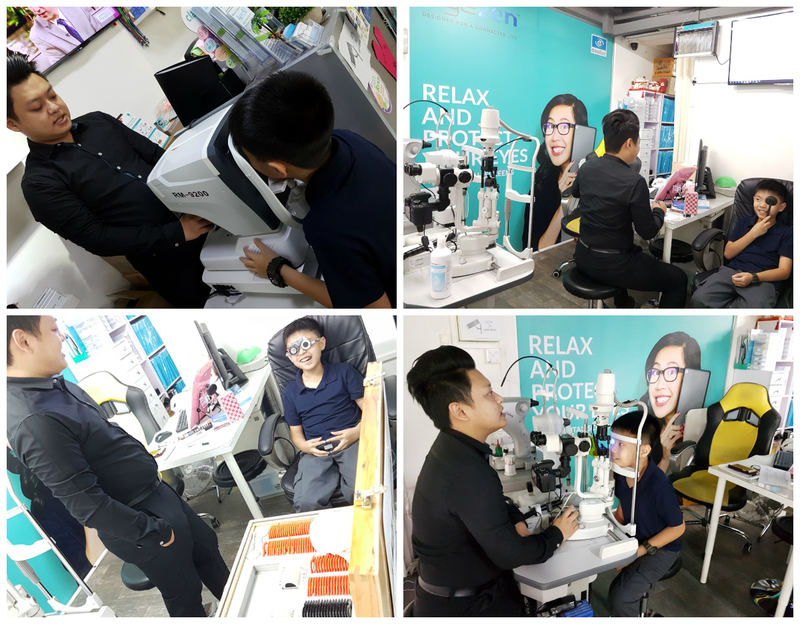 I am very thankful for this opportunity to learn more about eye care from Brian. If it not for him, I am probably still be confused with the difference between an Optician and an Optometrist. Besides, I have learnt what are the common eye problems we may have and the importance of frequent comprehensive eye check. Have you done any thorough check on your eyes and your family members’? Time for one perhaps?